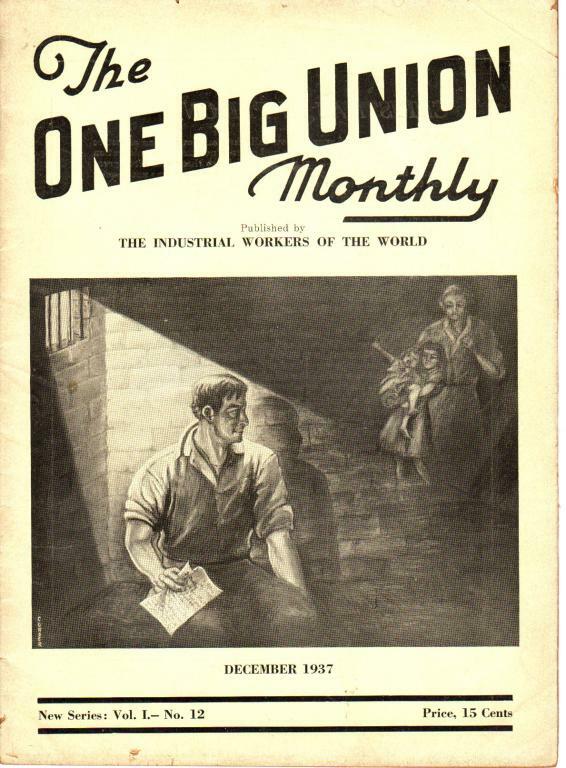 The December 1937 issue of The One Big Union Monthly, with articles on the Spanish Civil War and the CIO. Contributors include John S. Morgan, Bert Russell, Ralph Verlaine, Carl Madsen, x226183, John Sershon, Justus Ebert and A.B. Cobb. -What will labor's men in jail think this Christmas? I've seen this publication years ago in a public library. Thanks for putting it up electronically.